The E170 is the smallest of the Embraer E-Jet family, launched in 1999 at the Paris Air Show. Designed to carry approximately 80 passengers, this model competes with Bombardier’s CRJ-700 and -900. It shares 95% commonality with the larger E175. 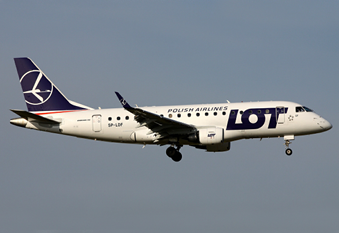 Following roll out of the E170 in October 2001, first flight occurred in February of 2002, before commercial service launched with LOT Polish in March of 2004. 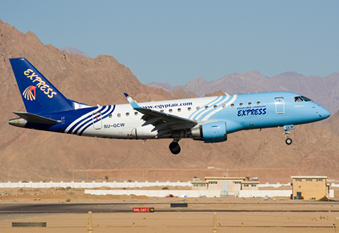 Both this model and the E175 are popular choices for the regional routes of mainstream airlines. Primary operators of the E170 include Shuttle American, Republic Airlines, and J-Air.